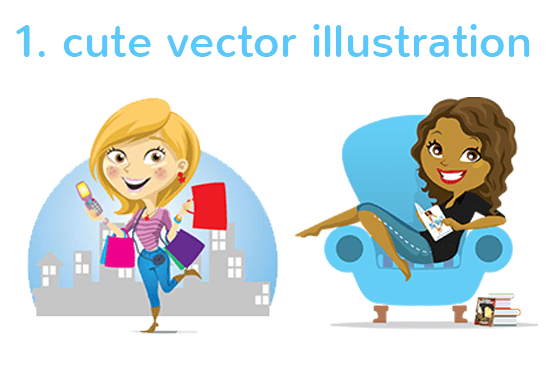 I can make vector, character or cartoon with my style. I ONLY draw ONE CHARACTER without any object. if you wanna put an object on it, please purchase extra gig or another gig. I don’t do background, if you purchase another gig I will draw you a background. If you like my work, don’t forget to share to your friends.. MESSAGE ME FIRST IF YOU’RE NOT SURE ABOUT YOUR ORDER! :I would give 6 stars if it was possible. Fantastic work. :She’s exactly what I wanted! :Desista never fails to deliver excellent work! I’m always happy and always ordering. :OMGosh- you are always making me so happy! She looks perfect; she’s exactly how I wanted her to look. Thank you! :She’s lovely! Thank you, again, for a lovely job. I’m ordering another right now!